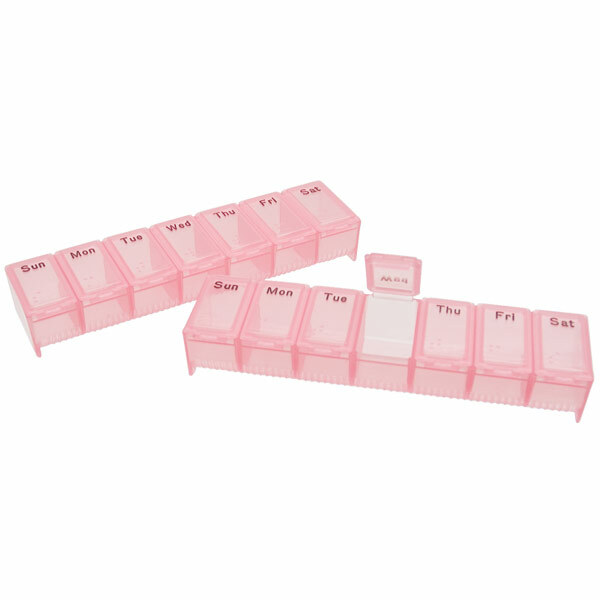 This sturdy pill organizer makes arranging your meds easier than ever before. Each pillbox has tactile text and Braille for super-convenience. Light red color for aiding those with low vision. Single pillbox.